In one way or another the characters in these short stories could do with pulling themselves together. Comprising the best of the out-of-print issues of Matter comic including classics like The Record, Weird Face and My First Festival as well as rare and unseen material. 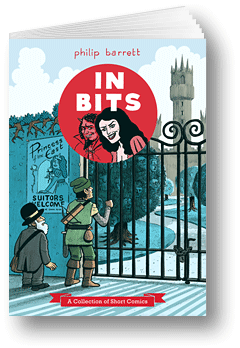 Philip Barrett has been self-publishing comics since 2001, including writing and drawing 9 issues of his catch-all title Matter and contributing to numerous anthologies. 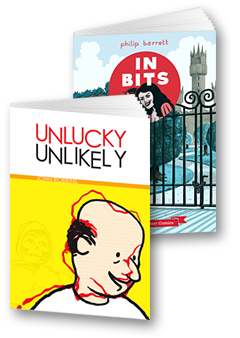 His illustrations and comics have appeared in publications as diverse as Rabble and the Irish Times. Philip helped get the ball rolling on the regular Dublin Comic Jam. To celebrate the launch of the first two titles from Blackshapes books, for a limited time get both books plus a personalised note* for a special price. 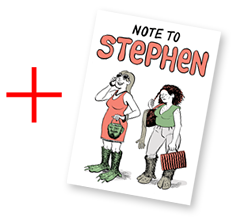 *The note will include your name plus an A5 black and white ink drawing of the artist's choosing. Special requests may be taken on board but not necessarily acted upon. See here for myriad samples of past notes. Blackshapes Books was created by Philip Barrett in 2014 to publish book length graphic fiction from Ireland and elsewhere. Are you working on something we might be interested in?